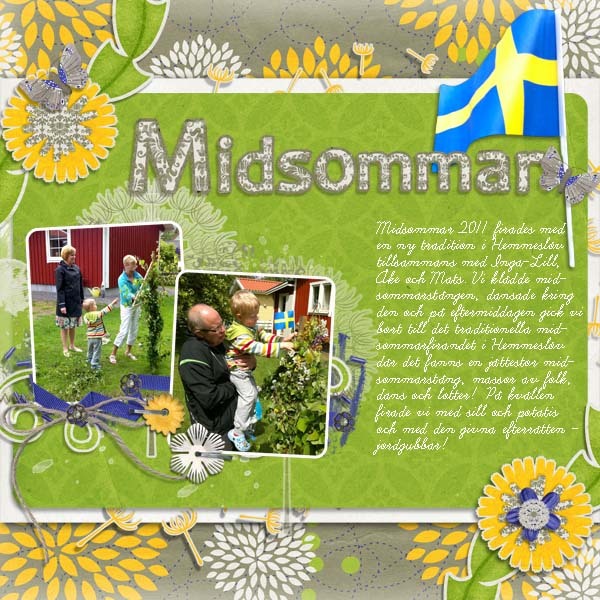 In Sweden we celebrate Midsummer Eve in the end of June. 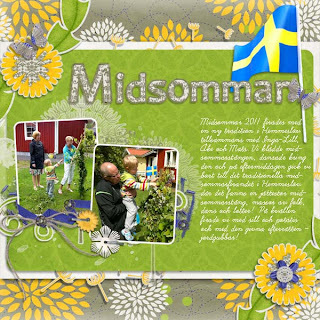 I got this perfect stuff to scrap some pictures from this years Midsummer! It's papers, elements, graffiti and alpha by Dream Big Designs from this months Mix a Kit over at ScrapMatters. The colors are blue, yellow, white and green, the Swedish flag is blue and yellow so this sure was the perfect kit! This weekend will be filled with goodies!